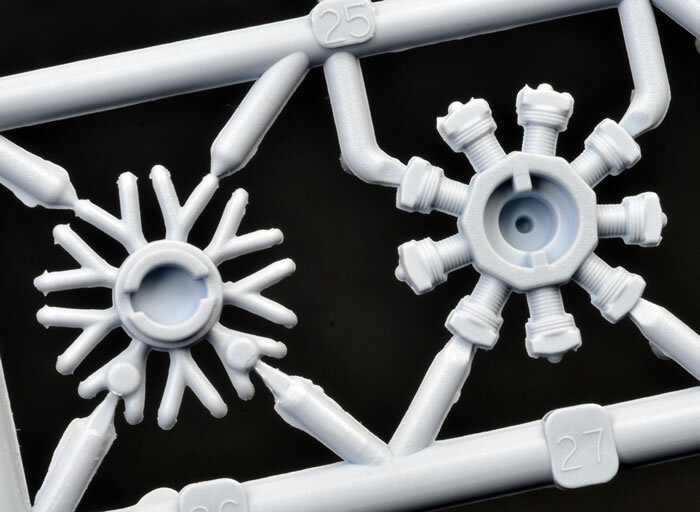 72 grey and two clear styrene parts; markings for two subjects. Appears to be the most accurate and well-researched 1/72 Gladiator kit. Very nice surface detail, clever engineering to aid construction, good engine detail, excellent quality decals, and great value. Crude decal for an instrument panel dials, and no gunsight provided. Rather a lot of mild flash for a brand-new mainstream release. Airfix has ticked all the boxes that really count with their new-tool Gladiator kit – Of the three serious contenders for best Gladiator in 1/72-scale, it seems the most accurate, easy to build, and has the best surface detail; all delivered at by far best price, and readily available too. The cockpit detail could be better; I dislike the crude decal for an instrument panel and the seat fails to capture the true shape and delicacy of the original. What remains is okay. The engine has good ancillary detail, but the cylinder and head detail is a bit soft. Airfix still need to refine their recessed panel lines, but in this case they are more tolerable because they are used to define removable rather than riveted load-bearing panels. Overall, Airfix has captured the Gladiator’s lines and surface textures very well. There is no need to dispose of any Sword or Pavla Gladiator kits you may own, but for any future purchases I recommend you buy Airfix – enough said. Initially developed as a private venture and derived from the Gloster Gauntlet, the Gladiator was subsequently adopted by the RAF during its expansion period leading up to WW2. 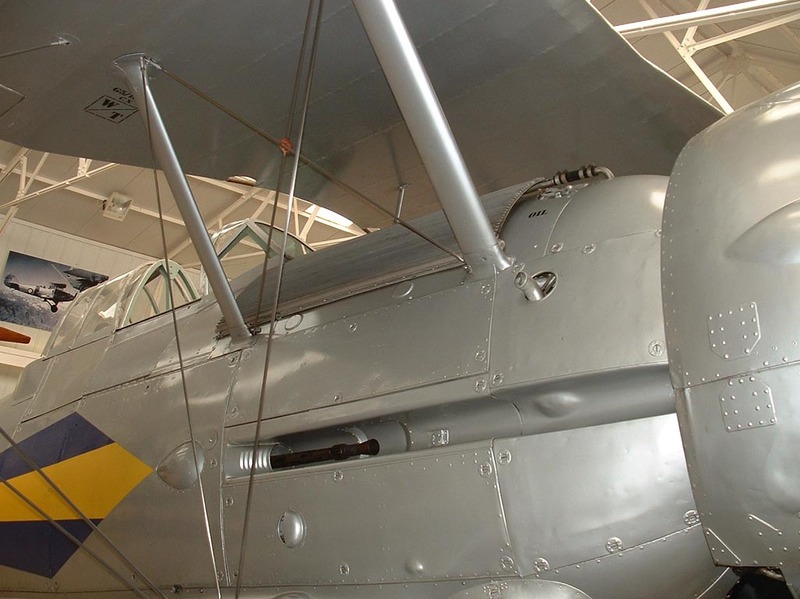 It was to be the last British biplane fighter. It first flew in late 1934 and remained in production until 1940. Three major versions were produced, these being the MK.I, Mk.II, and Sea Gladiator. The Gladiator was quite an export success; and as a result it was involved in numerous areas of conflict. These covered from the Baltic to Western Europe and the UK, to the Mediterranean and North African theatres where, aside from Axis adversaries, it also clashed with the Iraqis and Vichy French, and as far afield as China. In British Commonwealth service it flew with the RAF, FAA, RAAF, RSAF, and also served the air forces of Norway, Sweden, Finland, Lithuania, Latvia, Eire, Belgium, Portugal, Greece, Egypt, Iraq, and China. A handful of captured Latvian machines were even flown by the Germans, with one later wearing Soviet stars. The Gladiator’s fortunes varied, in some instances being completely outclassed and suffering heavy losses, yet in other situations it held its own and became the mount of several aces. Perhaps it is most famous for the defence of Malta where for a 10-day period three Gladiators called Faith, Hope and Charity are said to have defended the island from air attack alone. In fact there were more than three aircraft, most if not all being Sea Gladiators. The three names came into being after this period. But the reality was that numbers of serviceable Gladiators at any given time in this period was very small, with Malta’s population often only ever seeing three gladiators in the air together at any one time. Regardless, the actual defence mounted by just a few Gladiators was no less-gallant than the semi-mythical account of Faith, Hope and Charity in defending courageous Malta GC. 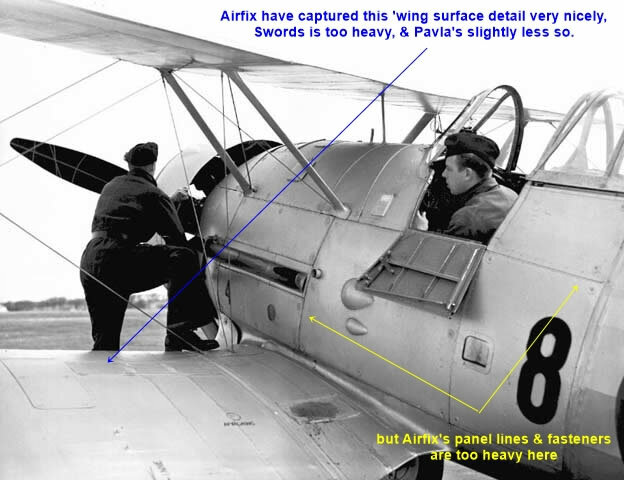 I have used some images by to illustrate a few of my points regarding airframe shapes and highlights. I have linked to a superb set of walk-around images by Griffith Models & Books here, another by Graham James via britmodeller.com, here, and some more by Magnus Fridsell via IPMS Stockholm here. I recommend readers take a look at all of these. Where possible I have obtained permission and attribute accordingly. There remain some images I have downloaded over the years that as far as I am aware have no copyright claimed and that I cannot attribute. However, if a reader considers that I have used their image(s) and would like them attributed or deleted from the article, please e-mail me. The Gladiator has been surprisingly well catered for in "The One True Scale" for an aircraft of which only 747 units were produced. I am aware of seven previous Gladiator kits in 1/72 scale, and have owned all but the second oldest and second most recent at some stage in my modelling life. The earliest kit was by Airfix in 1956 and was a very simple affair with the pilot’s head moulded into the fuselage halves. Then came one by Frog, I think it was first released in the late 1960’s. A detailed build article in Scale Models Magazine, Feb 73 is quite praiseworthy of this kit, but it would be showing its age today. It has been re-boxed by Remus and Novo. Both Airfix and Frog kits are now relatively rare collectables. I do not know which kit came next, Matchbox’s 1973 release, or Heller’s for which I have no date. For me the Heller kit (also re-boxed by Encore) has the edge, despite some exaggerated fabric texturing, with superior detail all round, and a better outline, although replacement decals are often needed in the case of Heller boxings. This said, the Matchbox kit was, like all of the Matchbox biplane kits, much more refined and generally superior to many of their other 1/72 aircraft. 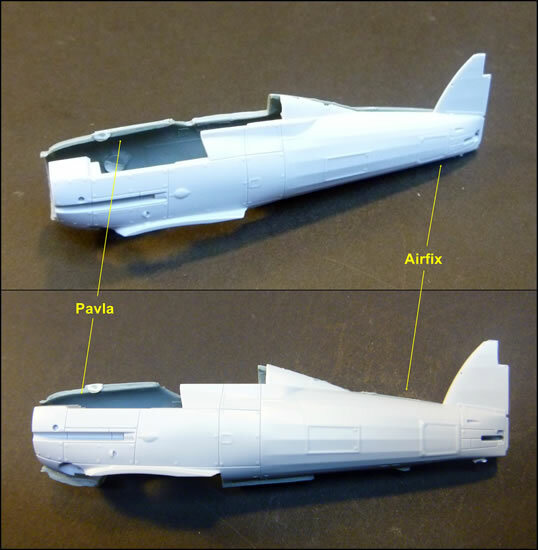 Needing some minor corrections for dihedral and aileron chord, this kit can build into a nice model. 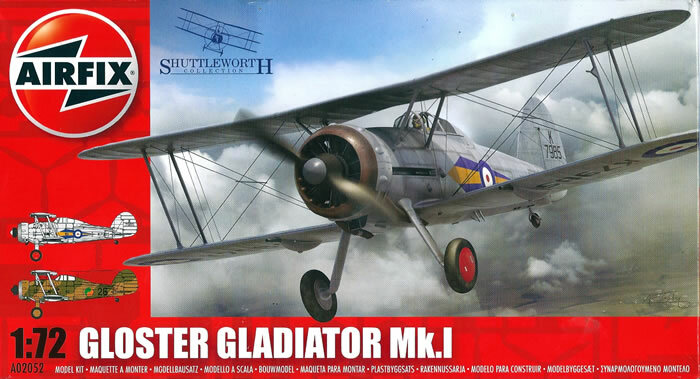 The Matchbox kit has since been re-boxed by Revell Germany (and I believe it is currently the cheapest of the available Gladiator kits). Both Matchbox’s and Heller’s kits have been bettered by 21st century releases. More recently, from about five or so years ago, Pavla released a tour de force Gladiator/Sea Gladiator kit, with a lot of resin detail and several decal options. This builds well, but is still a true limited-run affair, and perhaps a little expensive for some. These days it is no longer listed on Pavla’s website and can be hard to find. Sword released their excellent Gladiator and Sea Gladiator kits in 2011, which I reviewed here on HyperScale. 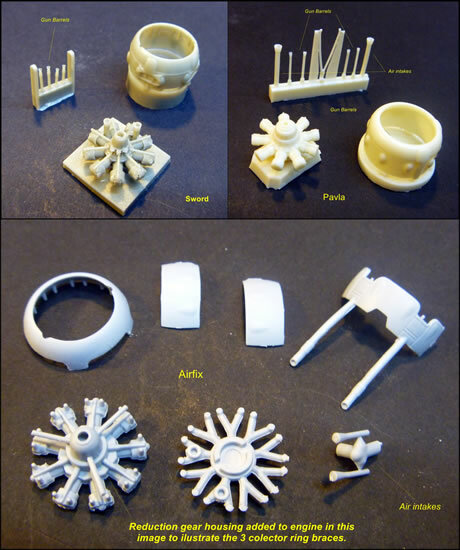 Compared to Pavla’s kit, they need slightly less cleanup of plastic parts, have fewer resin parts, cost less, and are far more readily available. Even more recently in 2013, Hobby Boss released a Gladiator kit in its quick-build range. I have had a quick look at this kit in a shop, although through the inner plastic bag. It has a very low parts count, fine engraved panel lines in the metal areas, but over-exaggerated rib detail on the flying surfaces; an appallingly simplified engine and oil cooler panel with too few and too thick cooling-ribs, two styles of wooden prop of which one is fictional. There is no three-blade steel prop, arrestor hook or dinghy fairing for the Malta-based Sea Gladiator markings choice provided (despite it being a RAF Gladiator boxing!). The roundels on the decal sheet also looked inaccurate. So after 57 years, Airfix has decided to re-enter the fray with a new-tool kit of the Gladiator Mk.I, with a Mk.II hard on its heels. The kit comes in a top-opening box with attractive artwork on the front. The parts come in a heat-sealed plastic bag, with the clear parts further protected in their own small bag. 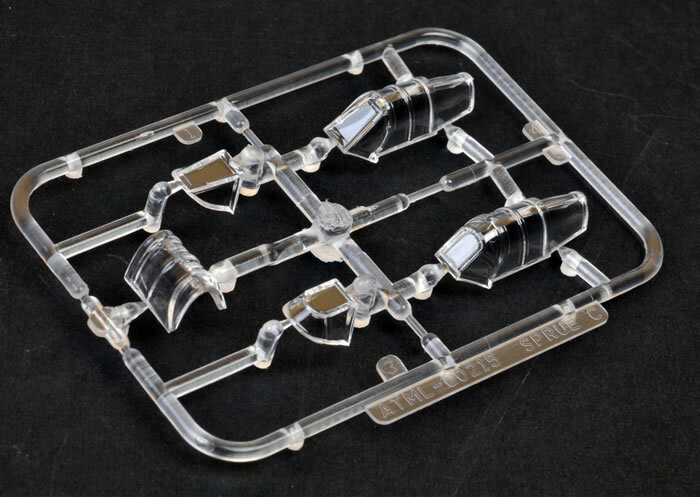 The instructions, like all new-tool Airfix kits that I am aware of, do not provide a parts map; but this matters little on a simple kit such as the Gladiator. They have easy to follow and well-drawn assembly diagrams, plus a whole page dedicated to a rigging diagram. The colours and markings are very well executed in coloured ink with large four-view plans, with additional drawings that show the hidden wing from each plan view. Colour call-outs use RAF and generic names and are cross-referenced to the Humbrol paint range. There is a brief history of the aircraft. Text is in English and four other European languages. There is also acknowledgement the organisations and individuals that assisted with the research behind this kit; which is a most promising sign. I regarded Airfix’s new-tool Swordfish kits as their best ever in 1/72-scale, but I have to say that this new-tool Gladiator kit appears to be of a very similar standard at first glance. It almost seems that Airfix, like Matchbox 35 years ago, just lifts its game when it comes to biplane kits. 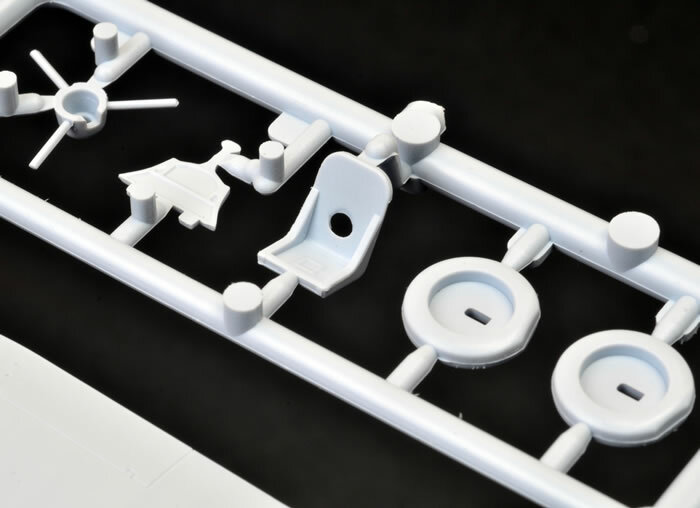 The parts are well moulded with fine surface detail, and the parts break down is generally conventional, with reasonably narrow sprue gates. There is a hint of flash in most places, and more than to be expected on early examples form new moulds in others. The message here is to buy early before these moulds begin to wear. The kit includes the original and later armoured-glass styles of windscreen, and features the two-bladed wooden Watts propeller with optional spinner cap. I assume that the already announced Mk. II boxing has the three-blade metal Fairey-Reed prop in its place, and I know it includes the option of a ski-equipped version. There is also what looks like a Vokes tropical air filter (for future boxings presumably). 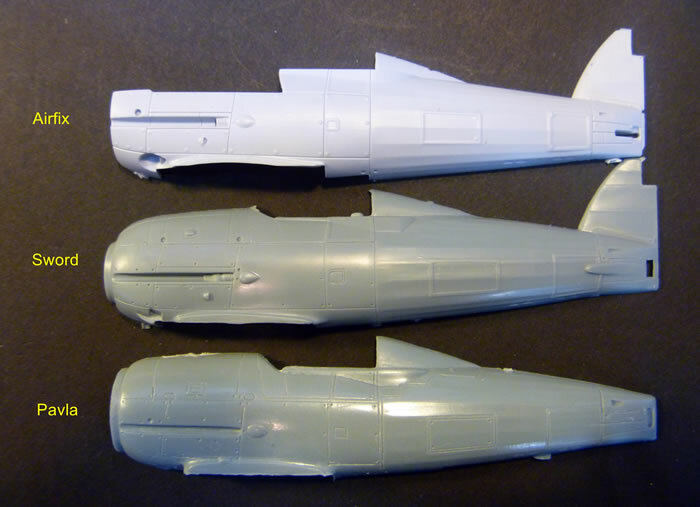 I would be surprised if Airfix fail to offer a Sea Gladiator boxing too, although the fuselage halves with this kit are not engineered for an A-frame arrestor hook option, nor is there a sign of the dinghy-storage fairing that goes between the undercarriage legs. Some internal detail is moulded on the cockpit sidewalls, and whilst the fold-down cockpit doors are moulded shut, there is a separate door enabling the port side to be cut out and be replaced with an open one. 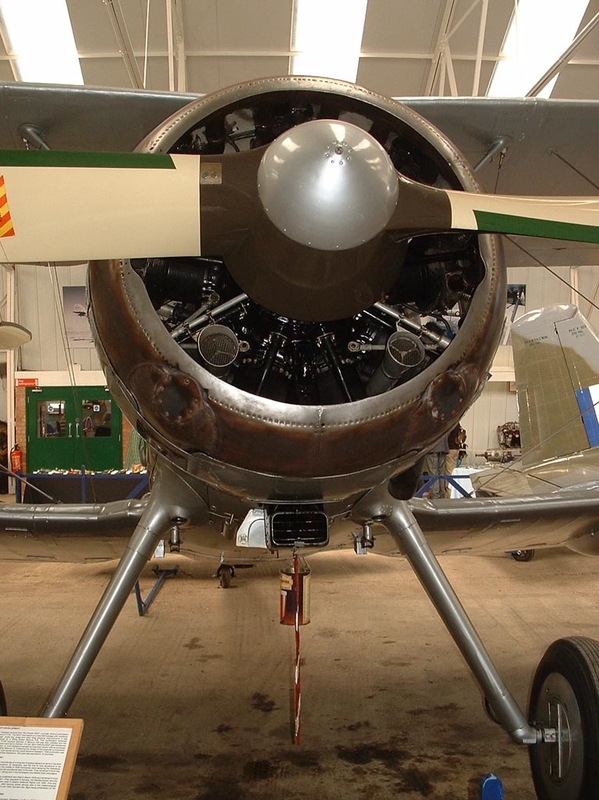 Like some other Gladiator kits, this one has the cabane struts moulded with their angle fixed, and in this case insert from beneath into the upper forward fuselage decking. 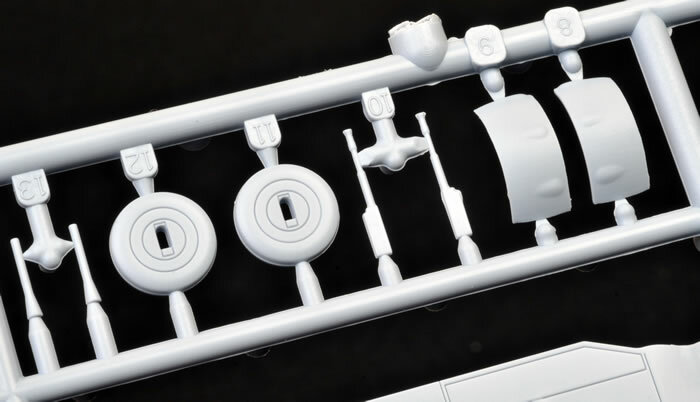 What is a little different with this kit is that the rear pair of cabane struts includes the instrument panel where they fit under the fuselage decking. This is a handy bit of engineering as I quite often find fitting instrument panels correctly aligned to be more problematical than expected. The smooth instrument panel relies on crude decals with simple white outlines for instruments (as with their other new releases I have seen). This approach is 30 years out of date; how I wish Airfix would include a moulded detailed option. 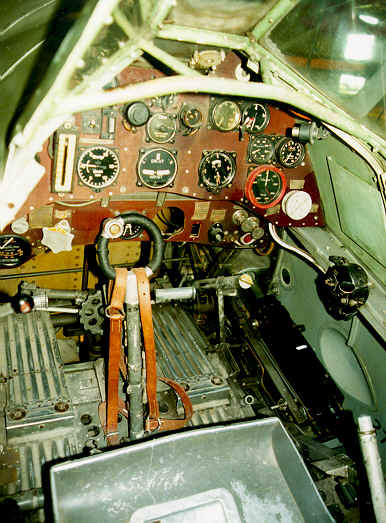 The cockpit’s remaining internal structure is reasonably well represented by a combined floor (with heel-board and rudder bar represented), side-frame and rear decking parts, to which is added a seat and rear bulkhead. 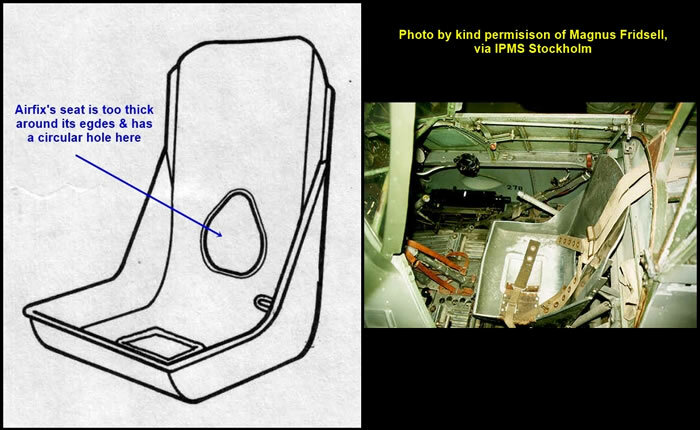 The seat is a bit chunky and has a circular hole in its back that should be more triangular with rounded corners. 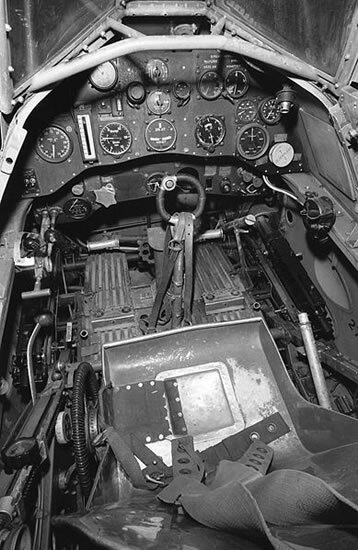 There is a quite good control column and compass binnacle to add to the floor as well, along with individual .303 Browning machineguns that insert through holes in the fuselage. 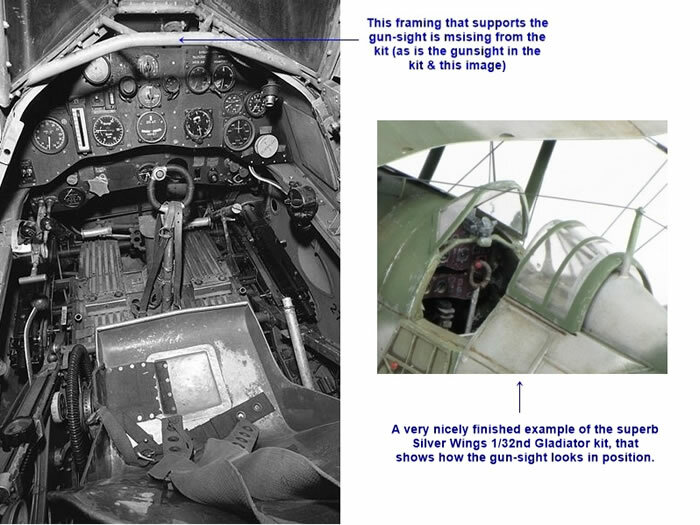 Whilst this allows for some representation of the gun breeches within the cockpit, I would have preferred for the breeches to be moulded in place with separate barrels to insert in the fuselage gun troughs after painting. There is no gun-sight, nor its prominent support framing (see this photo by Magnus Fridsell). I have read that the Gladiator's ring and bead sights began to be replaced after the introduction of the first GM2 reflector sights in 1938. These reflector sights had circular glass until the design was modified in 1941 to have square glass (and perhaps not applied to remaining in-service Gladiators?). I failed to find any good period images of a gun-sight mounted in a Gladiator, but do have a link to Richard Griffith's walk-around that shows how the mounted gun-sight looks here. Overall, cockpit detail is an acceptably representative facsimile of the real thing, but really should have included a gun-sight. 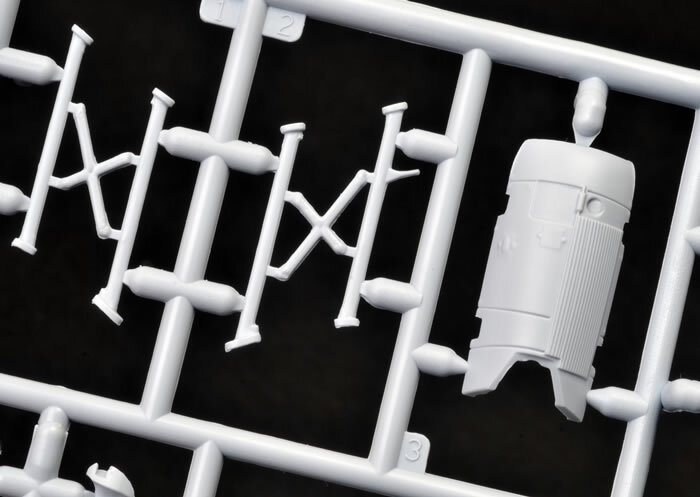 Radial engines and their installations are often poorly represented, so I was pleased to see how Airfix have tackled the manifolds of the Bristol Mercury for this kit. The engine itself captures the look of the original nicely enough, with the notable points being the forward facing exhaust stubs that connect to the collector ring and the inlet manifold on its rear, along with the two trumpet-shaped air inlets that sit between the lower cylinders. Airfix also include the bracing between the reduction gear housing and collector ring. Only the main, thicker central aluminium coloured brace is provided, but there are in fact two thinner and shorter braces forming a "V" that run off this back onto the engine. 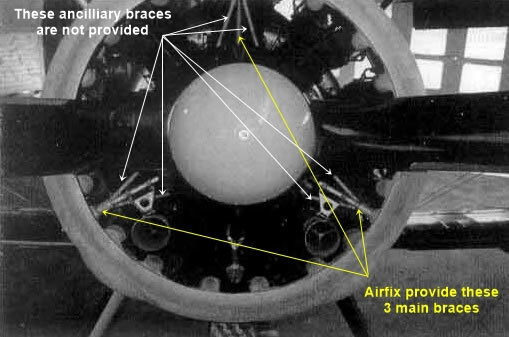 However these are painted a darker colour and are less apparent than the main brace in many photos (see the 4 & 8 o'clock positions below the prop in this image). The tooling of the cowling is slightly unusual, but is so with clever intent. The collector ring is one-piece as to be expected, whereas the remainder of the cowl is divided into three parts. This enables the trailing exhaust pipes to be moulded integrally with lower third portion, and so serves to conveniently set them at the correct angle; but more importantly, it enables the ends to be moulded with recessed openings. This gives a most authentic appearance, and eliminates any need to drill the exhaust pipes out. Another bi-product is there is no mould seam on the cowl panels that would otherwise run through a one-piece cowl as a result of the way the mould would have to accommodate the rocker-gear bulges. The two-blade wooden Watts propeller is fairly refined but retains the chunky look of the original. The boss face includes bolt heads, and there is the option of a spinner cap to cover this when applicable. A make or break for me with fabric-wing subjects is how the fabric covering and its underlying structure is represented, especially on the flying surfaces. I am pleased to report that Airfix has made a beautiful job of this, with just a hint of ribs and the leading-edge riblets. This same deft touch is carried over to the fuselage fabric areas as well. 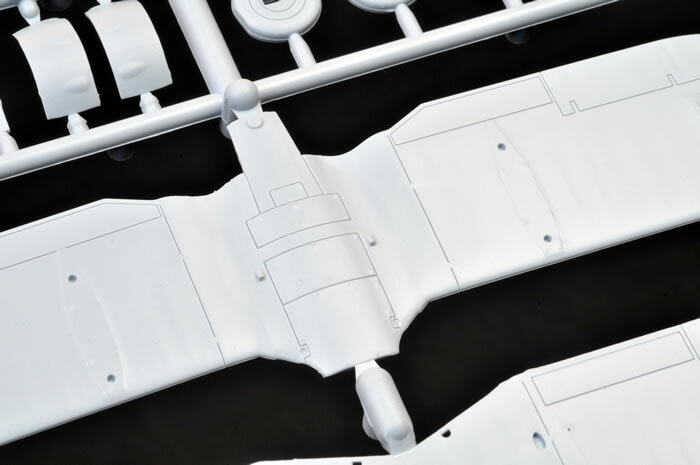 The forward panelled parts of the fuselage are nicely done, where Airfix’s recessed panel line dimensions can be more easily be accepted between unstressed removable panels as fitted to the Gladiator. The quick-fasteners are perhaps a little heavy, but these can easily be reduced with a couple of scuffs of wet & dry. The oil-cooler matrix is moulded in place with the upper forward decking and is nicely done. Metal panels aside, the surface detail is very good with a pleasing scale appearance. Airfix has adopted a clever way of setting the inter-plane struts at the correct stagger without recourse to trenches in either wing. They simply include redundant braces between the struts that must be cut away once the upper wing is set in place and all strut joints have dried. Care will be needed here, and a fine PE razor-saw would seem the best tool for this job given that the brace attachment points are of a similar thickness to the struts. Obviously there will need for some slight touching up of paintwork; assuming that painting will be done prior to attaching the upper wing in all cases other than overall colour finishes. It seems to me that with the aid of the pre-set cabane struts, this approach should work very well in reducing the difficulties associated with biplane builds. I cannot help but wonder why it has not been more widely used on other kits. 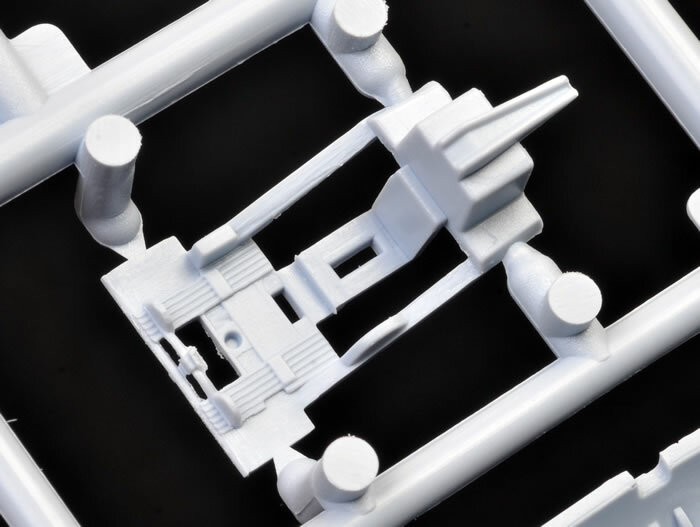 (As an aside, I can see merit in setting stagger angles by adding your own temporary bracing to the inter-plane struts of other biplane kits that are otherwise loose). 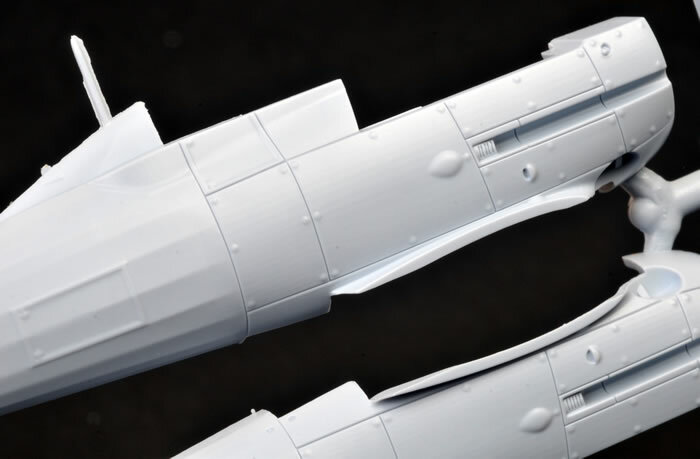 The main undercarriage legs have solid anchor points inset in the fuselage to help fix the correct splay angle, although the instructions give both an angle and distance between the legs to assist here. The legs include keys to orient the weighted tyres correctly, although there is also and unweighted tyre option included for in-flight display. 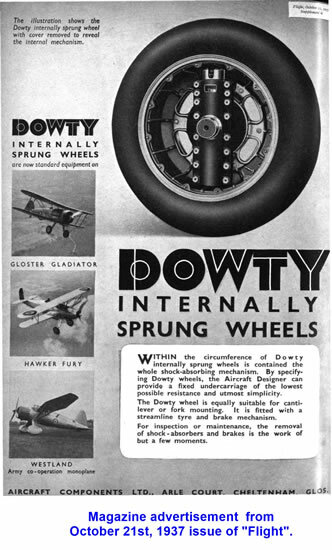 The Gladiator used internally-sprung wheels which were invented by George Dowty of Dowty Aviation, and also used by the Hawker Fury and Westland Lysander. Airfix have moulded the wheels so that the in-flight option sits with the axle located central to the hub, whilst the weighted tyres fit with the axle off-centre in the hub to simulate compression (see starboard wheel here); so well done Airfix for some thorough research! Both wheel styles use separate discs for wheel covers, which may allow for the occasionally seen exposed spoke option in other boxings. I have included a few images related to these internally-sprung wheels simply because I thought them to be quite interesting. As to the simple tail-wheel, it looks fine. There are a few remaining parts to mention. 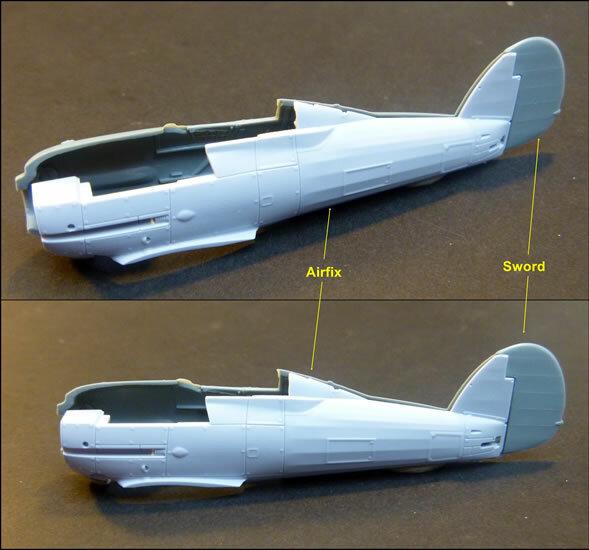 There is an optional crank-handle for the engine’s inertia-wheel starter, a boarding step, a pitot, a choice of carburettor air-intakes, and two nicely detailed underwing podded machineguns. I have already mentioned that both the early and later armoured windscreens are supplied. 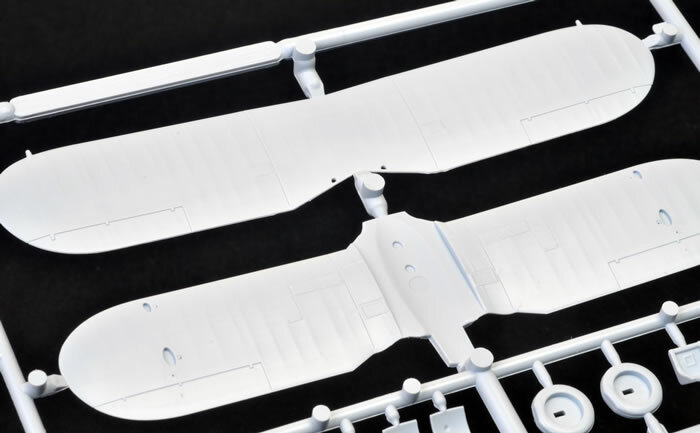 Airfix also give the choice of open or closed canopies. They do so by offering both windscreen styles with one-piece closed canopies, or as separate windscreens and a common separate hood that is moulded slid open over the rear portion of the canopy. This is an acceptable moulding compromise, to avoid problems with overly thick canopy parts. Whilst the canopies are clear and reasonably thin, a plunge-mould or vac-formed canopy (Falcon makes one for the Heller kit) would be a better choice for a model with an open canopy in my opinion. I should also note that the instructions do advise to remove the antenna mast and tailfin anchor point for the early RAF version. Be aware that this anchor point can be seen fixed to either the fin just ahead of the rudder, or on the rudder above its axis depending on the aircraft. Airfix have adopted a few clever and thoughtful engineering approaches to help with the construction of this kit. As such, I think that it should prove relatively easy to build despite being a biplane. 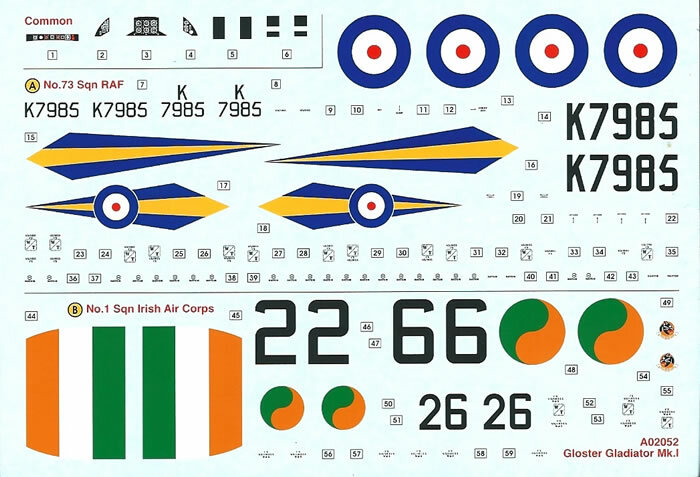 Airfix supplies decals for two schemes, as seems to be their new norm, and no doubt helps them achieve a very reasonable price-point. There is a huge range of interesting and colourful schemes for Gladiators. The Irish Air Corps camouflage scheme they offer is an interesting enough one I feel, but still perhaps a surprising choice given that the Irish had only four Gladiators. The interwar RAF option is not the most eye-catching of possibilities, but was flown by the future Kiwi Hurricane ace “Cobber” Kain in 1937. No 1 Fighter Squadron, Aer Ch r na h ireann (Irish Air Corps), Baldonnel Aerodrome, Ireland, 1940. This said, from what I have seen of the Hobby Boss kit, it looks nice enough at a quick glance, but simply fails to cut it against Pavla, Sword or Airfix when it comes to making a serious scale replica. It might appeal to production-line builders where variety of markings is the primary aim; but remember that it only caters for one version, with no canopy, propeller, carb-intake or Sea Gladiator options. I feel confident in saying that its omission here for comparative purposes is of no real consequence – If price is your primary driver, still buy Airfix; it costs less than Hobby Boss, and is a much better kit in every way that counts. 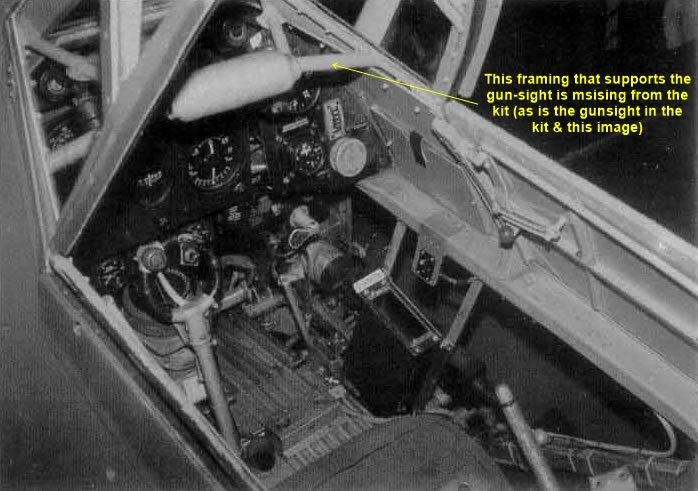 A comparison of the three remaining brands did reveal one significant outline and dimensional difference; this being in the length of the rear fuselage between the cockpit and rudder post. Airfix is shorter here than the Czech kits, which agree with each other. I do not know who is correct, but with Airfix's acknowledgement of the Shuttleworth Collection's help (who have a flying example), and that of other experts, I would tend to favour Airfix. 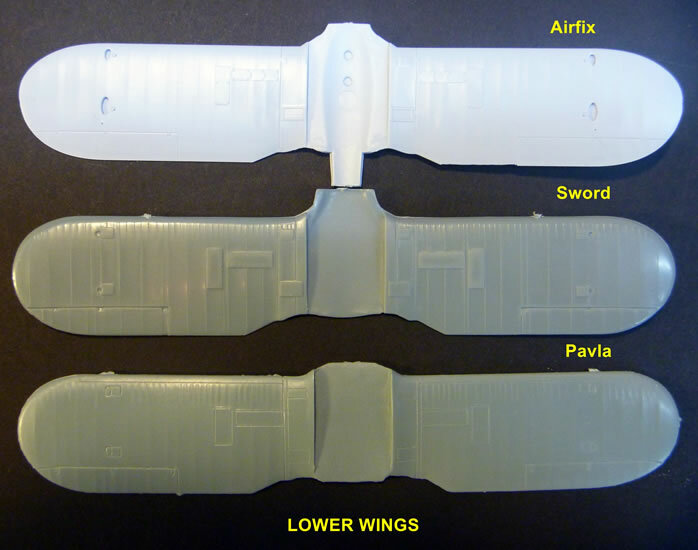 Most differences that were apparent, such as slight variations in the aileron outlines or prominence of some surface detail, are much as would be expected from three different tool makers. I did notice some specific smaller differences that are still worth mentioning. Pavla lacks dihedral on the lower wings. Rocker-gear bulges are more prominent on the Czech kits, most noticeably with Pavla. 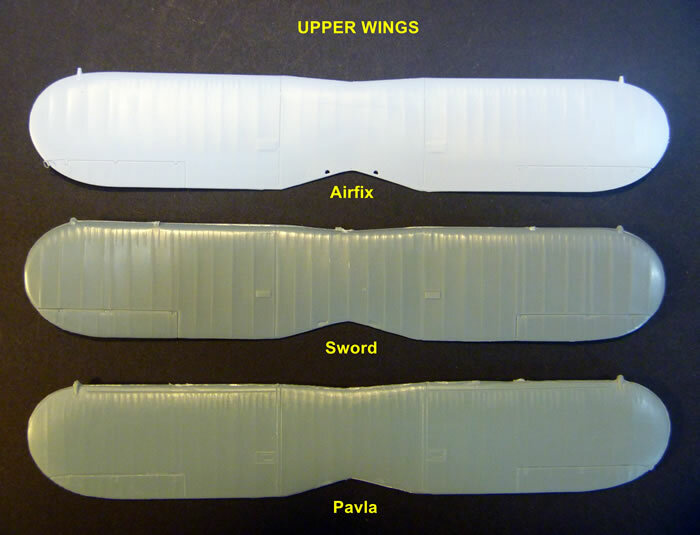 Pavla's oil-cooler matrix is shorter and deeper than those from Airfix and Sword, whose are the same length as each other; although Sword's is slightly deeper. Sword has the largest propeller diameter, with Airfix and Pavla in close agreement. I like both the Pavla and Sword kits, and think that in really skilled hands that Pavla may hold the a slight advantage for overall detail, whereas Sword will be a little less demanding to build. Both have an edge over Airfix in terms of cockpit detail, with Pavla’s being by far the best (and with vac-form canopy to show it off to the full), whilst Sword has the nicest engine and cowling detail (albeit with slightly over-stated bulges). 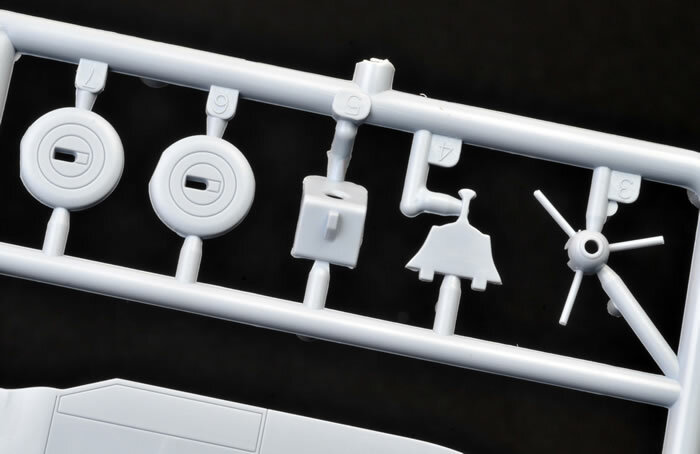 As to be expected their resin engines, especially Sword's, have quite an advantage over Airfix’s styrene one, at least in terms of the cylinders, their heads, crankcase and reduction gear housing. Pavla's does not look anywhere near as nice as Sword's does. 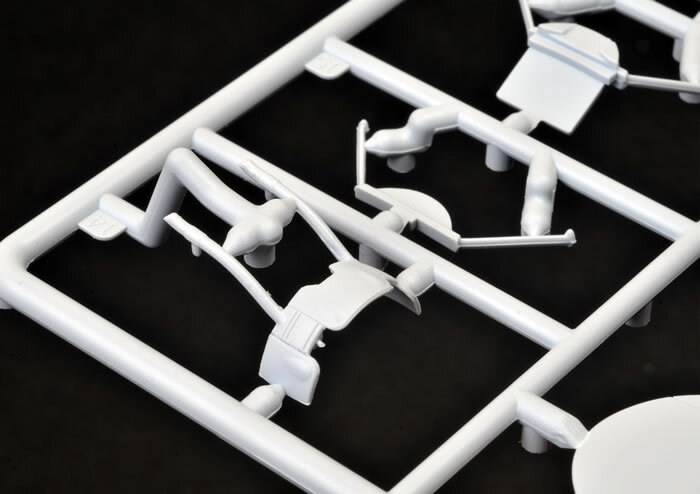 Only Airfix offers an inlet manifold and the three collector ring braces. I also think Airfix also has the best exhaust pipes. 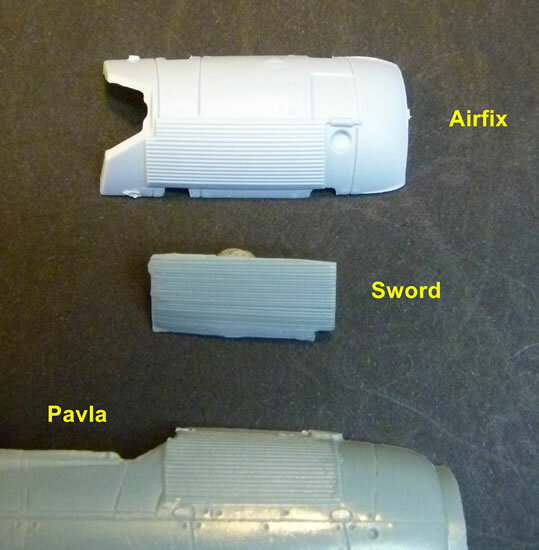 Moreover, Airfix has the most accurate cowl, despite Pavla and Sword again using resin for this part, as both the Czech kits have over-stated rocker-gear bulges; whereas Airfix captures these rather delicate bulges far better. Despite this, Sword's cowling has some lovely detail and its engine is equally nice; so for general viewing Sword is the winner in the engine region stakes, with Airfix a close second. 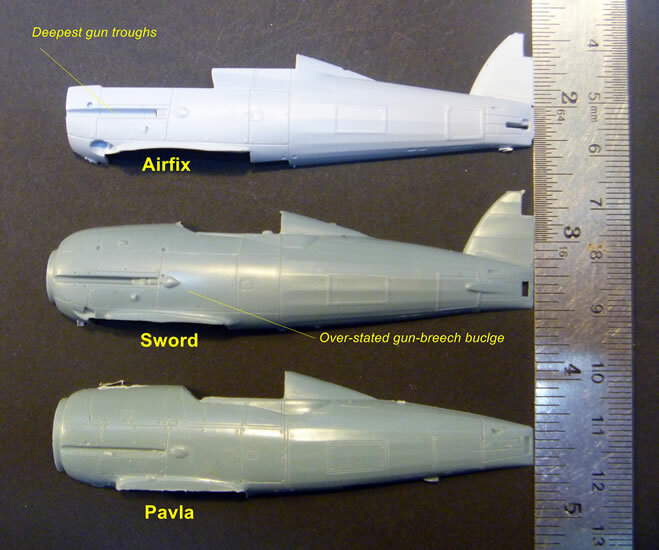 I do not know who has the correct diameter, but Airfix and Pavla suggest two to one that it is not Sword. Regardless, I think that Airfix has the best blade shape. Pavla's oil-cooler matrix is the wrong shape and least detailed. 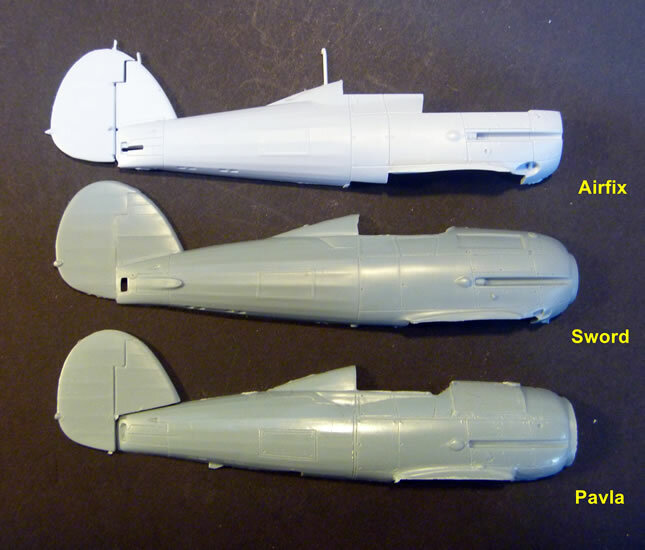 Sword's is the almost the same as Airfix, but Airfix is the most accurate and best looking. Both the Czech kits have narrower fuselage gun troughs, but with larger breech bulges. Airfix's wider troughs and flatter bulges better agree with photos. 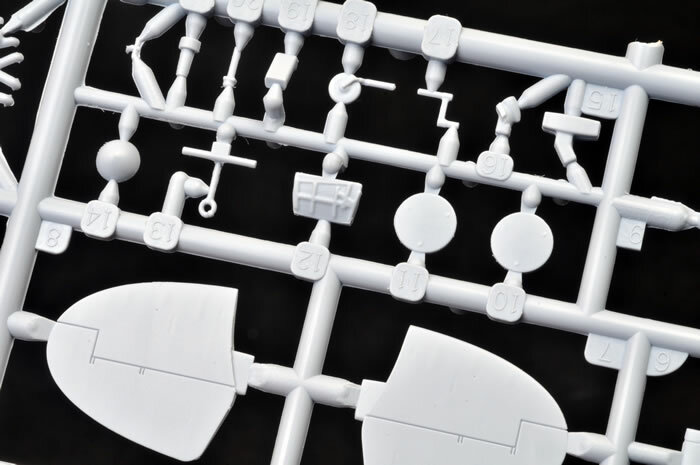 Both the Czech kits have nice resin gun barrels that are better than Airfix’s styrene examples. These are reasonable as injection moulded barrels go, but are still just too thick (check out this walk-around image to see what I mean). However, Airfix’s price advantage leaves room to buy some Quickboost replacement Browning barrels if they bother you. I like Pavla's vac-from canopies best for scale finesse, but accept they are not everyone's cup of tea to cut out and fit. 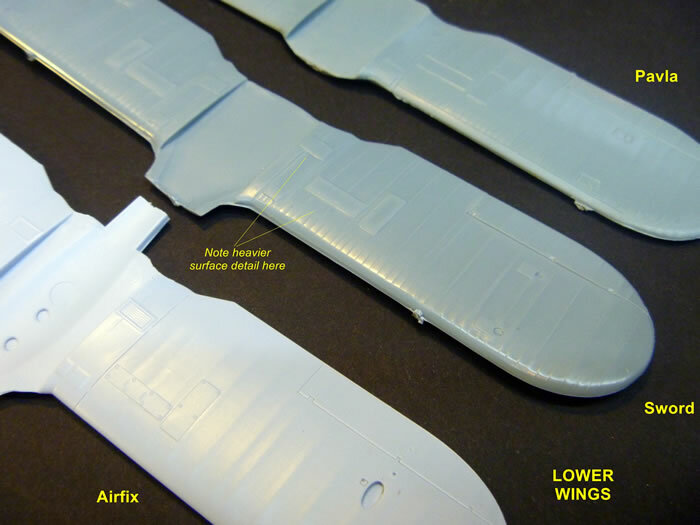 I prefer Sword's styrene canopies for more subtle framing, but Airfix's are much clearer and offer a choice of open canopies, so it is probably a draw between these two brands. All three kits have nice surface detail. I prefer the Czech kits’ more delicate recessed lines that define the metal panels and their fasteners of on the forward fuselage, but I can easily live with Airfix’s heavier rendition here. 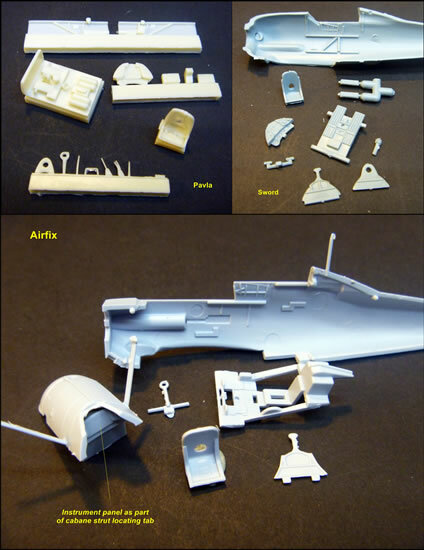 All have very nice surface detail for the fabric areas, but if I had to choose a winner I would pick Airfix. The Pavla kit covers all three production versions in one box, and has a wide choice of decals; but its price in part reflects these choices. I think it is the least accurate of the three. Sword covers the production versions using different boxings. It is cheaper than Pavla, and is good value; but still quite a bit more than Airfix. The areas where Airfix beats it on accuracy can be easily remedied, and are of little consequence. Neither Czech brand offers ski versions, unlike Airfix. 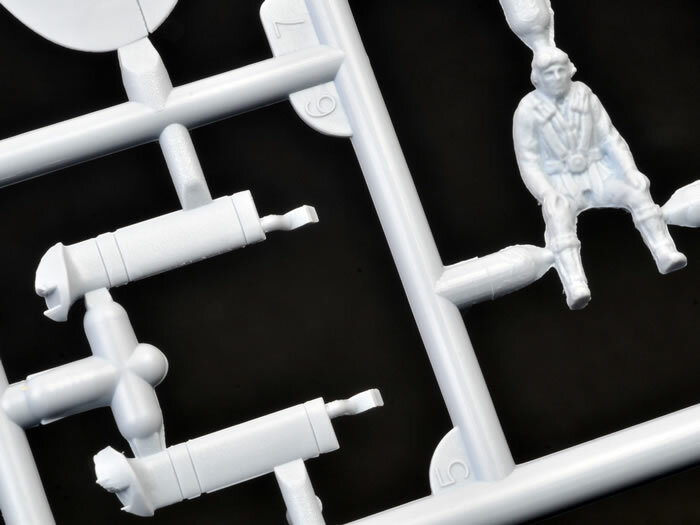 Airfix will hopefully offer a Sea Gladiator boxing too, but there is no clue to this in the sprues of the kit reviewed here. The Czech kits clearly loose to Airfix in price; and also wide availability, especially in Pavla’s case. Cockpit detail, refined gun barrels and Sword's engine aside, there are few if any areas where either Pavla or Sword better Airfix. Indeed, Airfix betters them in cowling, oil-cooler, and gun trough accuracy, overall buidability, and I think it just pips them in surface appearance. All round then, I have to say that I think that Airfix have provided us with the best Gladiator in 1/72-scale, with Sword a very close second. 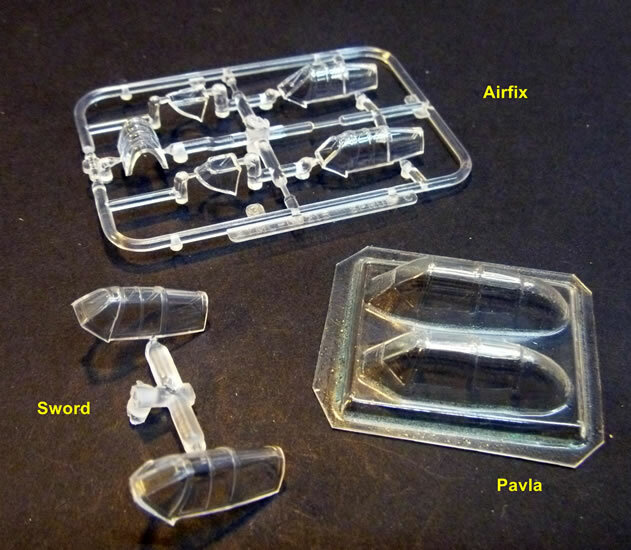 This said, do not discard your Pavla kit if you own one, it is still worth building, or at least donating a resin cockpit, guns and vac-canopy to your Airfix kit! Airfix have ticked all the boxes that really count with their new-tool Gladiator kit – Of the three serious contenders for best 1/72nd Gladiator, it is the most accurate and easy to build, with the edge in overall surface detail; all delivered at by far best price, as well as being the most available. The cockpit detail could be better; I dislike the crude decal for an instrument panel and the seat fails to capture the true shape and delicacy of the original. What remains is okay, although not as good as the Czech competition. Sword has an edge in engine detail, whilst Airfix's has good ancillary details but is soft where it counts in the cylinder and head detail; it does however have the best exhaust pipes. Airfix still need to refine their recessed panel lines, but in this case they are quite acceptable because they are used to define removable rather than riveted load-bearing panels. Overall, Airfix has captured the Gladiator’s lines and surface textures very well, having even paid close attention to the aircraft’s stance by taking the internally-sprung wheels into account. 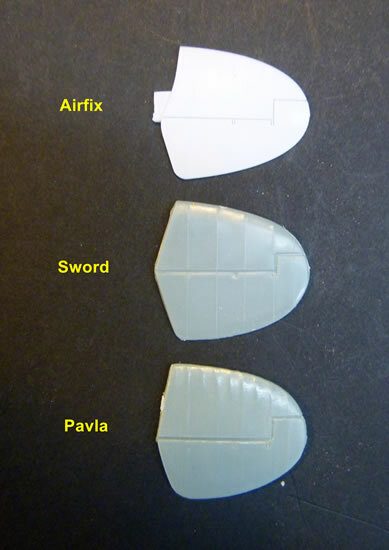 There is no need to dispose of any Sword or Pavla Gladiator kits you may own, but for any future purchases I recommend you buy Airfix – Enough said. Airfix kits are available from hobby shops worldwide and online.